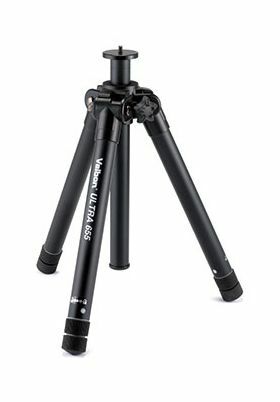 The Velbon Ultra 655 is a heavy-duty travel tripod which is designed for serious photographers and videographers. This tripod uses Velbon’s unique TSS (Trunnion Shaft System), which makes it tall and sturdy when extended, yet when folded, the Ultra 655 packs down to just 37.2cm in length. The multi-angle legs and splittable centre-column allow low-level working down to just 13.3cm. Velbon offer a full range of heads to fit this tripod, making it a truly versatile and rugged tripod for the traveling photographer.